It’s proving to be a busy Spring. We have some new members and we have some new techniques. There has been a good few sessions of printing as well as carving. There has been some burning (is this a good idea in a room full of wood??!!) A technique used to add texture and colour to a piece. Some first projects have been finished to the great joy of their owners, a well rounded spiked pot has seen completion and one of our members is producing some impressive relief work based on natural forms. 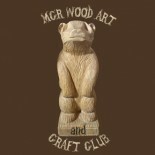 This entry was posted on April 10, 2015 by mcrwacc in wood carving and tagged adult learning, art and craft, Buddha, carved medieval foliage, club, craft club, life long learning, manchester, night class, sculpture, wood carving.